I do not have high expectations based on movie licenses games, Especially in terms of depth. So It Was a pleasant surprise When 2 Cars started off with a tutorial telling me how to drift and trick to fill up the turbo gauge. Avalanche Used in Tried and true recipe to make a kart racer with weapons Good, short-cuts, turbo boosts, and well-rounded multiplayer. While the game Is not as robust in ITS and advanced technical level selection as Mario Kart, it HAS Enough to make it Worthwhile Offerings on Its Own. Essentially Cars 2 plays like Any Other kart racer, and the cast at Avalanche Software HAS added a Variety of Into the game mechanics to add flashy Some Ways to beat your Opponents. Doing tricks Helps refill your turbo gauge and if you max it out, you go “in the zone”, an ultra-boost That Mows down racers like the star in Mario Kart. If you really want to get fancy you-can flip backwards because your view and switch the players behind you to shoot while driving in reverse. Winning the Gold Cup Is A Matter of refueling your turbo gauge, hitting short-track racers gunning down and cuts. The great thing about the tracks Is That THEY work for different game modes, but i got tired of Progressing in the missions and playing the Same setting in a different fashion. There Were Many times Where I Asked myself, “Did not I just beat this level?” The Level Can Be Also confusing if you’re Trying to climb back to first place. The race tracks Have huge lanes with lots of detours and short-cuts, making it feel like you’re driving in no Specific management to get to the finish line. It’s this quality occasionally That Makes it feel like my driving skills Will not matter in Helping me win, although it does make shooting and groin Easier. Playing a kart racer Would not feel right Without The Ability to take out the cars in front of you. The weapons in Cars 2 Run the gamut of missiles, homing cars (bombs), oil spill, and satellite lasers, the Latter of Which is glorious When You get to rip it Into Your Opponents. The lower the position you’re in, the better your chances of getting high level weapons, although aside from the laser satellite, There Are not Many equalizers Powerful Enough to help you boost the lead. It Can Get a little frustrating if you’re just Trying to get to the next mission. Those “CHROME” single-player missions are a bit of mixed bag, There Is Enough Variety aim to keep fresh Things with “Survival”, “Attack”, or “Hunter” modes. In “Survival,” your goal IS to collect purple rods to refuel your energy gauge. “Hunter” throws you in a giant arena in a hide-and-seek deathmatch to accumulate points in waves of attacks. “Attack” mode, Meanwhile, Asks you to rack up kills as Many as You Can by shooting enemy missiles with cars aka lemons. Each kill Increase the timer, and There’s Something about blowing up Gratifying 5 cars with one shot to gain a FEW extra seconds. All of the single player modes and multiplayer Into transition seamlessly combines with Two Additional multiplayer modes to make for Some dynamic split-screen action. (Unfortunately for us adults, Disney opted out for online playability.) “Battle Arena” is Basically a deathmatch and “disruptive” is a capture-the-flag (CTF) mode. The responsive controls make for intense shoot-outs, Bringing back the old-school battles in Mario Kart 64 with Some fresh twists. That back-and-forth action spill-over to “Disrupt” Which mode Perfectly captures the essence of a typical CBC. As for the visuals, and Pixar Avalanche WORKED together to get the animations and models to look like the original Disney characters and it shows. 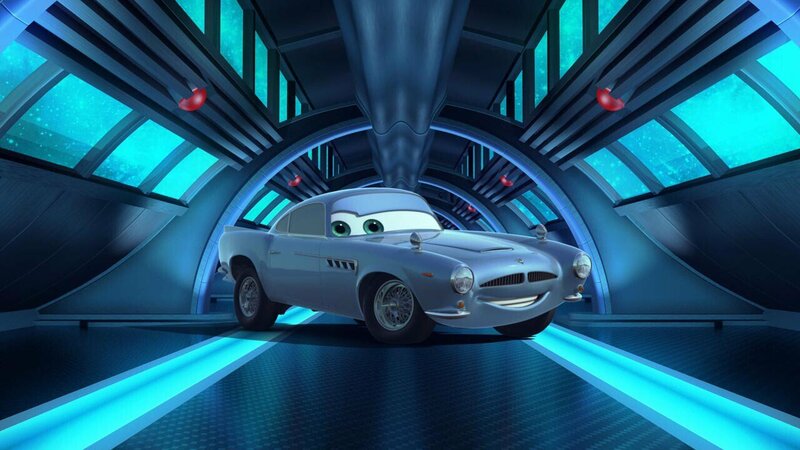 The cars look and move like in the movie They Do, They Do not Have although the Sami glisten and sheen. Is not Exactly missing the shine, But It Could use a bit of work. Some of the tracks come straight from the movie and scenes are Highly Detailed. Tokyo HAS tight streets with lights and bright signs weaving off of store Every corner, while Italy villas HAS Countless little sweeping across green valleys. 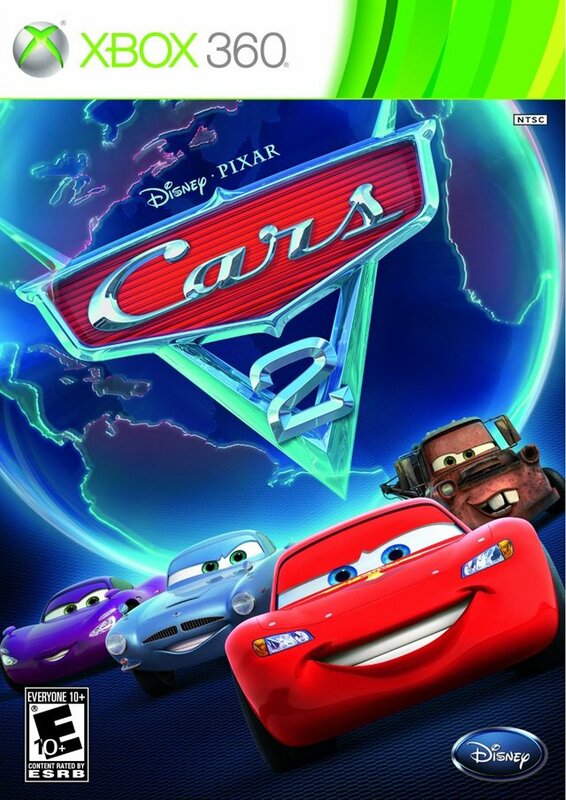 Many of the movie’s original cast members (Including Larry the Cable Guy, but not Owen Wilson or Michael Caine) are aussi here to Bring the feel of the movie Into the game, and the little touches of Disney peppered Throughout The game make the world of Cars 2 feel complete. If you leave the game on at the menu screen, the cars sit in the background That Will begin coming to life with quirky attitudes Their Own. Most cars unlocked Have To Be Giving You about 30 cars to choose Which leaves a lot of room for replayability. In Spite of all my nit-picking, the game At Its Core Is A Racer family friendly for kids, and a good one at That. It’s a fun multiplayer with a gentle learning curve That leaves room for growth for Those Who Can take advantage of the advanced mechanics. While the Gold Cup is getting all the tracks IS tough, it’s Something That Would not Take More than a week to do. The Lack of Variety of tracks Means There’s Only So Many races You Can Win Before It feels like you’re playing the Same level over again, Even if it’s in a different fashion. Then again, this game Was not Meant for people as old as me. While Cars 2 IS a little out of my age group, the game’s fun for anyone looking for easy-to-year pick up multiplayer kart racer for the family. Essentially Cars 2 plays like Any Other kart racer, and the cast at Avalanche Software HAS added a Variety of Into the game mechanics to add flashy Some Ways to beat your Opponents.